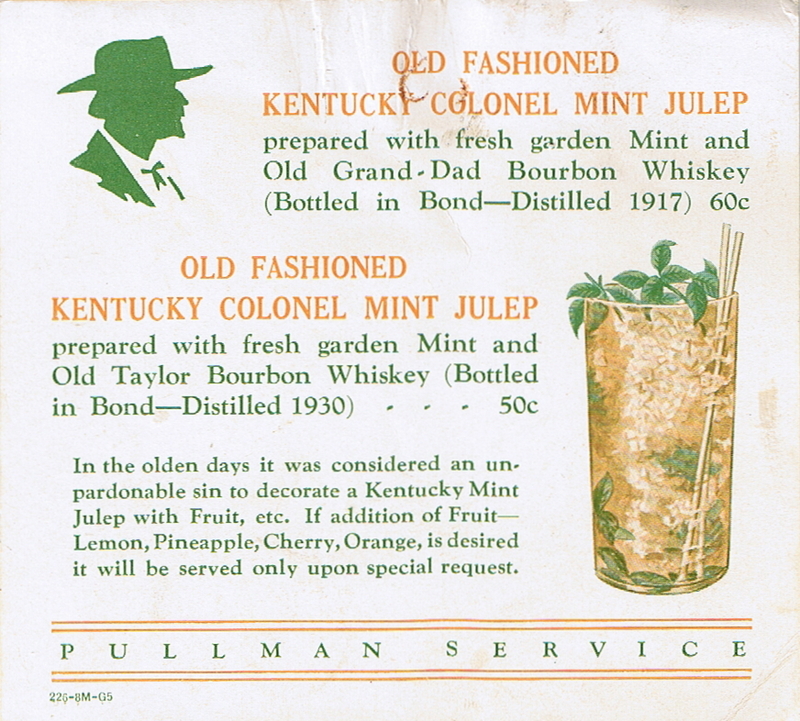 Description Pullman insert (called a rider by Pullman) used on Pullman buffet menu Form 273-15C-G5 (2 inserts) advertising a Special - Old Fashioned Kentucky Colonel Mint Julep prepared with fresh garden Mint and Old Grand-Dad Bourbon Whiskey (Bottled in Bond - Distilled 1917) 60c ($0.60 60 cents). 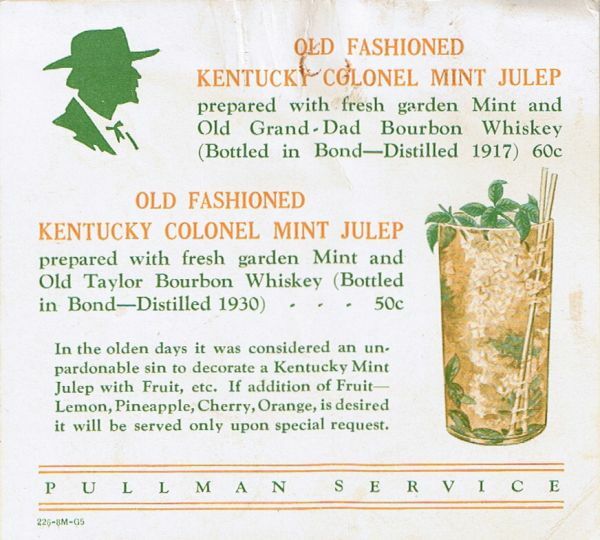 Old Fashioned Kentucky Colonel Mint Julep prepared with fresh garden Mint and Old Taylor Bourbon Whiskey (Bottled in Bond - Distilled 1930) 50c ($0.50 50 cents). In the olden times it was considered an unpardonable sin to decorate a Kentucky Mint Julep with Fruit, etc. If addition of Fruit - Lemon, Pineapple, Cherry, Orange, is desired it will be server only upon special request. Pullman Service 226-8M-G5. Includes nice line drawings of an "Old Kentucky Colonel" and a Mint Julep .